This includes a weekly Pilates class for me. . If we keep our bodies reasonably fit and eat healthily, then when we are super busy we are still able to cope when life becomes stressful. This is an exercise from my Wednesday physio reformer pilates class. This Pilates exercise strengthens arms, helps the movement and flexibility of a tight upper back, works the tum, core and glute muscles, the inner thighs and needs balance to be able to stand, twist and bend over. .
It’s more difficult than it looks, especially when it’s done slowly with control, holding out the platform steadily before returning it back in. Reformer exercise for posture, control, balance and flexibility. 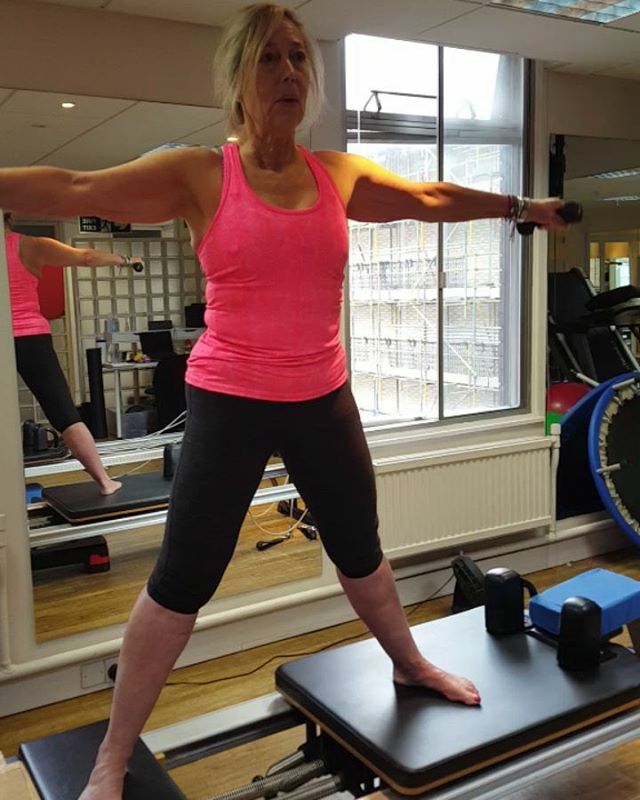 The control needed to stabilise and move the reformer slowly in and out smoothly engages so many muscles. Core, tummy, glutes, hamstrings, abductors, calf muscles….